Catholics who are happy to live their Catholicism! More photos can be accessed here. 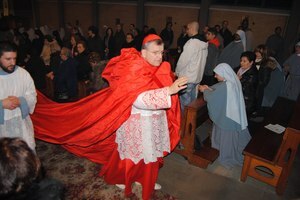 Gianfranco Ravasi on the move to Milan, next Pope? 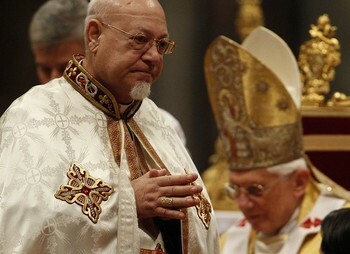 A week ago today, Archbishop Gianfranco Ravasi, 68, was created a cardinal by Pope Benedict XVI. Ravasi, since 2007, is the well-equipped, critically acclaimed, lover of art and music, and a man who has a great sense of humor President of the Pontifical Council for Culture, the “Minister of Culture” (some might say he’s a “culture vulture”) and he heads the Pontifical Commission for the Cultural Heritage of the Church, and the Pontifical Commission for Sacred Archeology. He’s the former head of the Ambrosian Library in Milan. He turned the Library into a cultural and intellectual destination. 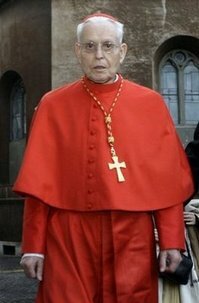 Urbano Cardinal Navarrete Cortés, SJ, 90, died today. 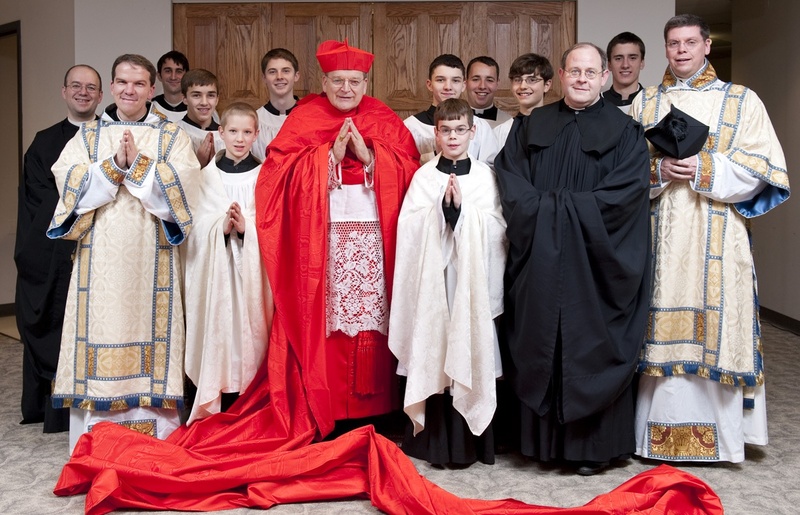 The Mass of Christian Burial is scheduled for November 24; the Dean of the College of Cardinals, Angelo Cardinal Sodano will celebrate the Sacrifice of the Mass and His Holiness will preside over the Final Commendation and give a valediction. His Eminence was a professor of Canon Law, a former rector of the Pontifical Gregorian University, a prolific author and a consultor of the Congregation for Divine Worship and the Disciple of the Sacraments. 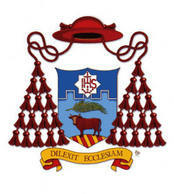 In 2007, Pope Benedict created Father Navarrete a cardinal of the Roman Church. He was dispensed of the episcopal dignity. The Pope assigned him the Church of San Ponziano as his titular Church. Cardinal Navarrete was a Spanish Jesuit (entering in 1937), ordained priest in 1952. 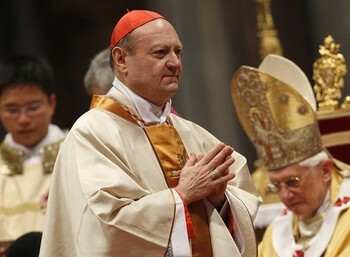 And since 1958 was a professor of Canon Law at the Gregorian, specializing in marriage law, where he also served as dean of the Canon Law faculty. 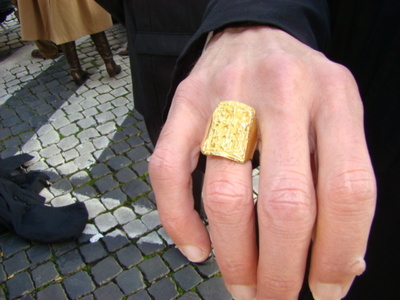 To go with a cassock and a new biretta (the 3 gore squarish hat) there’s a new ring, simple and symbolic of one’s fidelity to Jesus Christ and the Church.